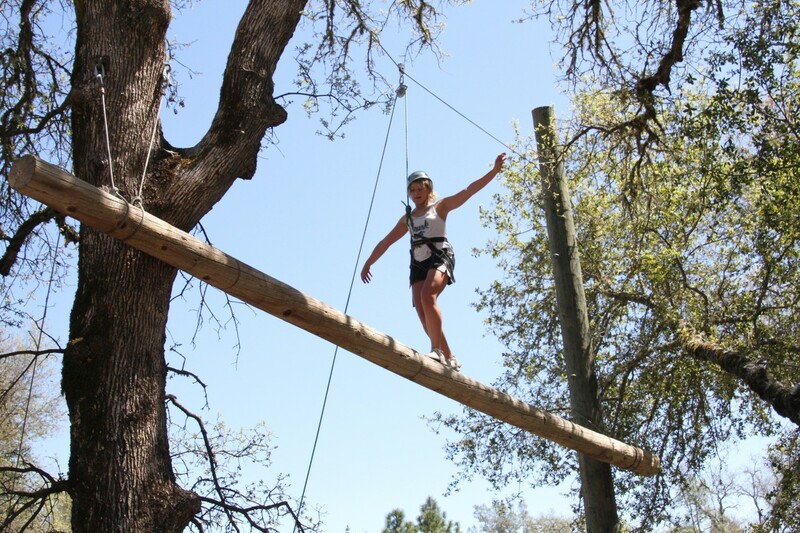 The High Elements of our Challenge Ropes Course consist of a series of obstacles which occur 20-40 feet above the ground. 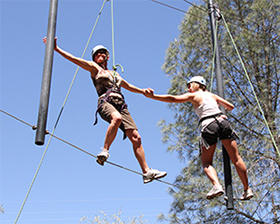 Experienced and skilled facilitators belay individuals and teams through each of the five elements as each participant attempts to tackle their own comfort level. 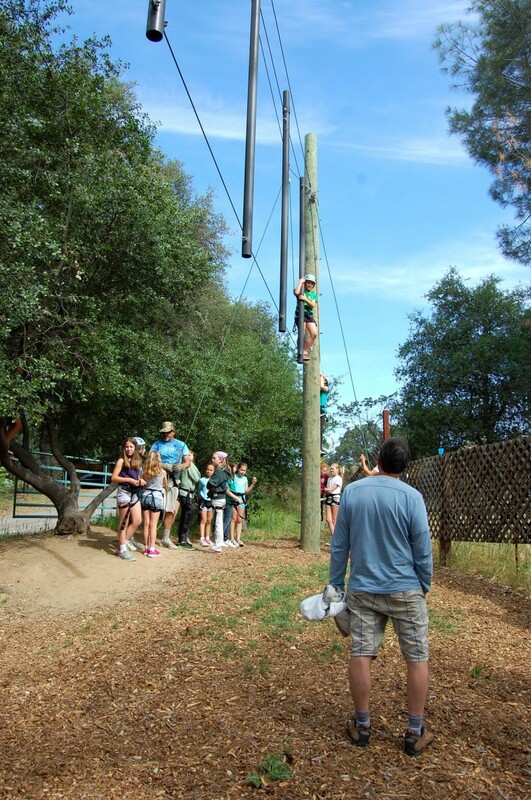 Although these activities were quite a bit more challenging, they were great too because they challenged us beyond our comfort zone allowing us to create a ‘new normal’. 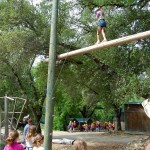 I still don’t know how Brian and I made it across your Pipe Dream! 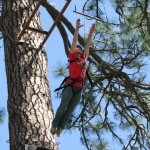 – Annie P.
Spend an exhilarating three hours rotating through the four different high elements of our Challenge Ropes Course. 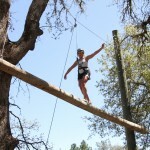 Skilled facilitators will be stationed at each element, allowing participants to rotate through at their own leisure. 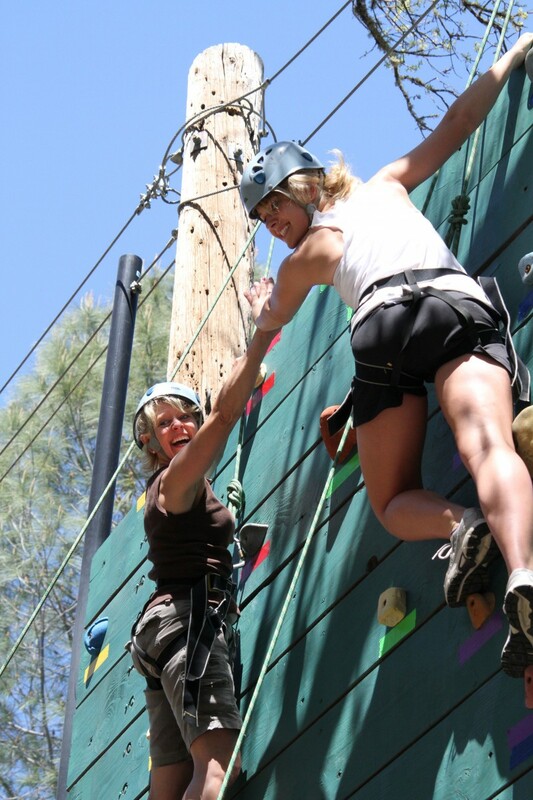 As a challenge by choice course, participants are welcome to ‘opt out’ of any elements that they find personally intimidating. 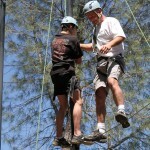 The Full Day activity truly takes your teambuilding and communication skills to an entirely new level. 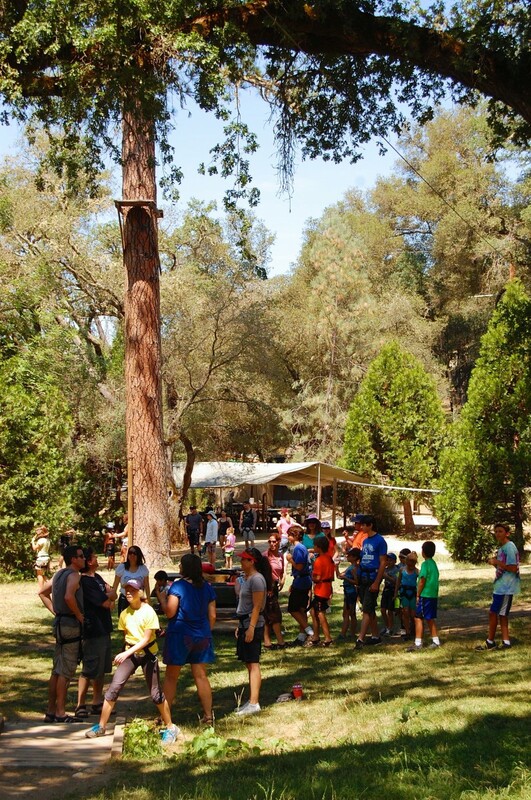 Spend three hours on the low ropes course in the morning, attempting to master each element, then take a break for lunch near the river. 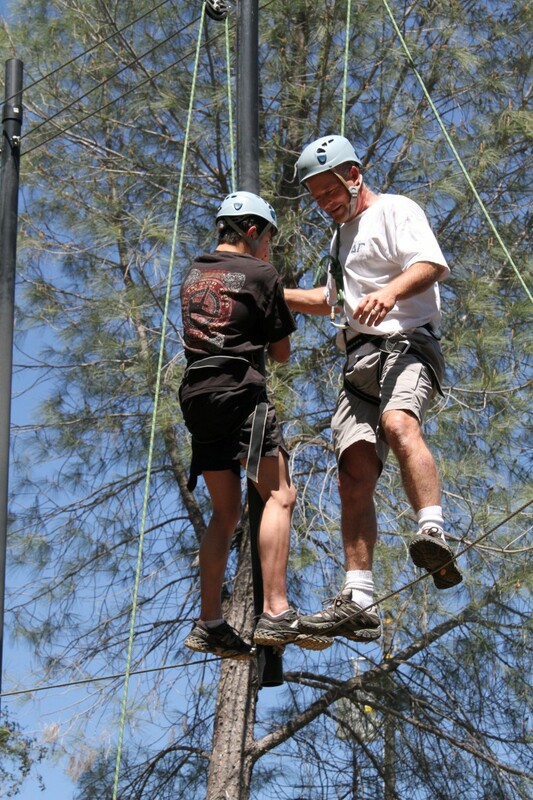 Head back to the high ropes course in the afternoon to tackle the challenges amongst the tree canopy. 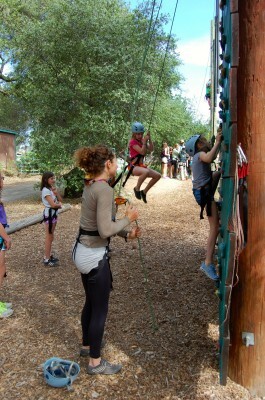 Too much air underneath your feet? 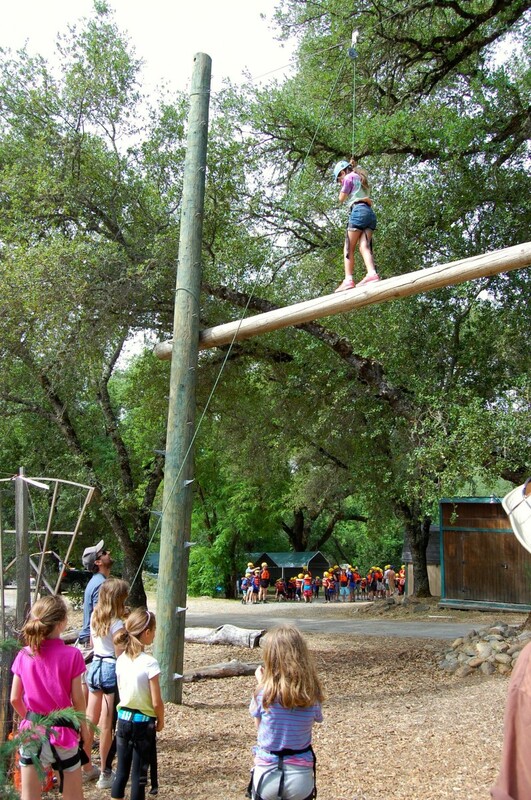 The Low Elements of our Challenge Ropes Course incorporate fun and thought-provoking challenges, closer to the ground, to promote communication, group collaboration, and team building. 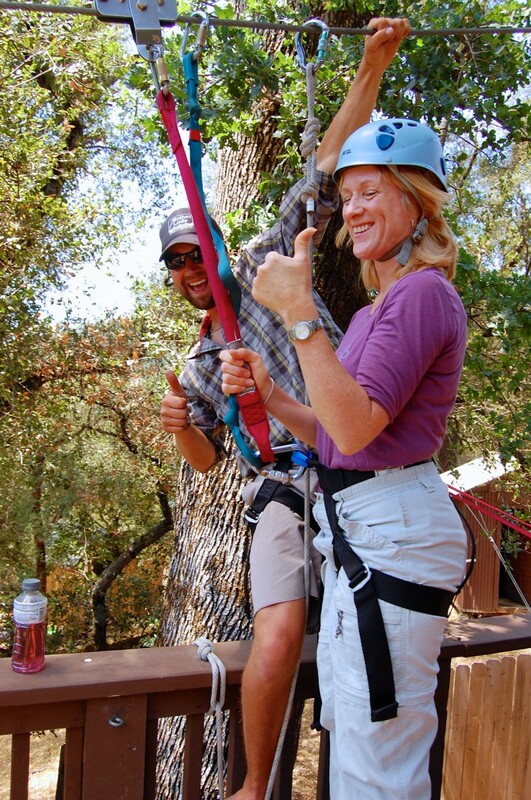 What in the world is a “belay” system? 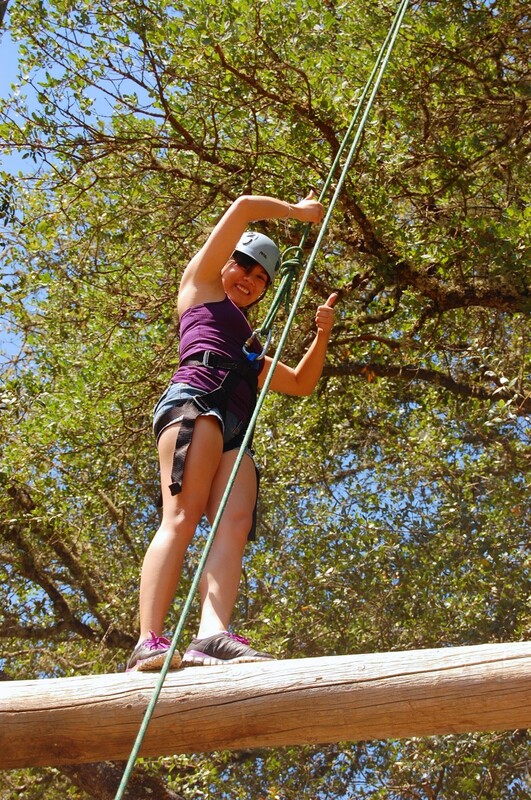 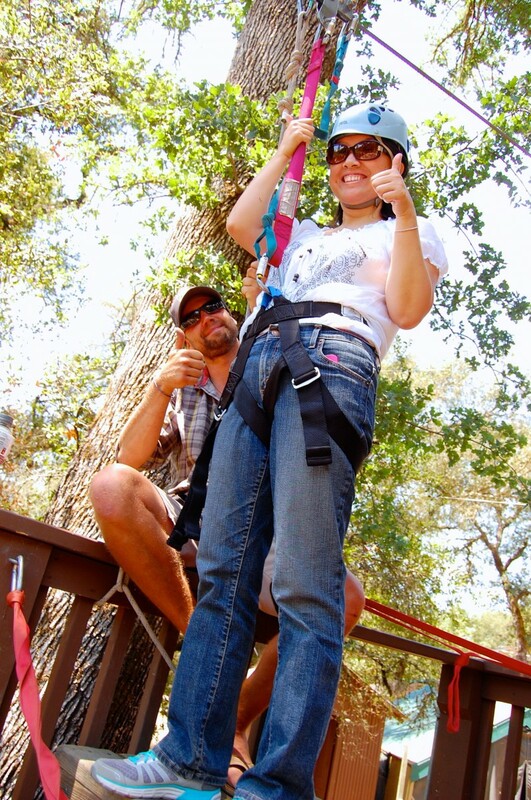 To participate in any of the High Elements of our Challenge Ropes Course, you will be connected to one of our experienced facilitators who will be “on belay” while you are climbing. 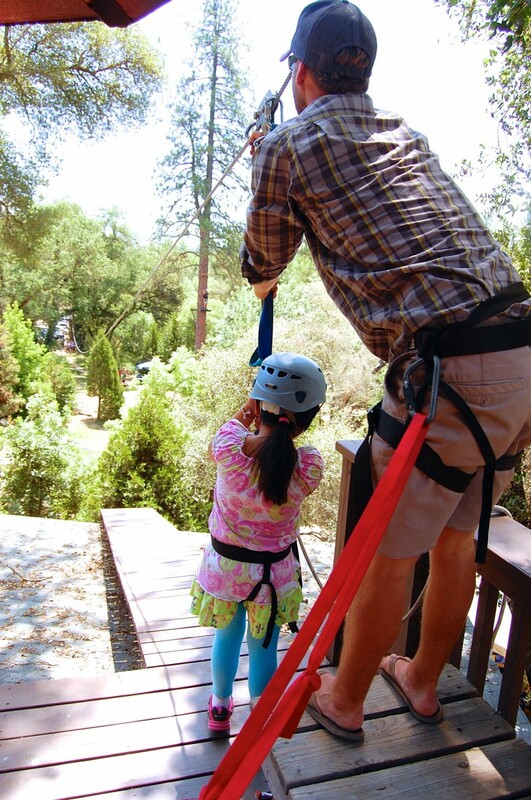 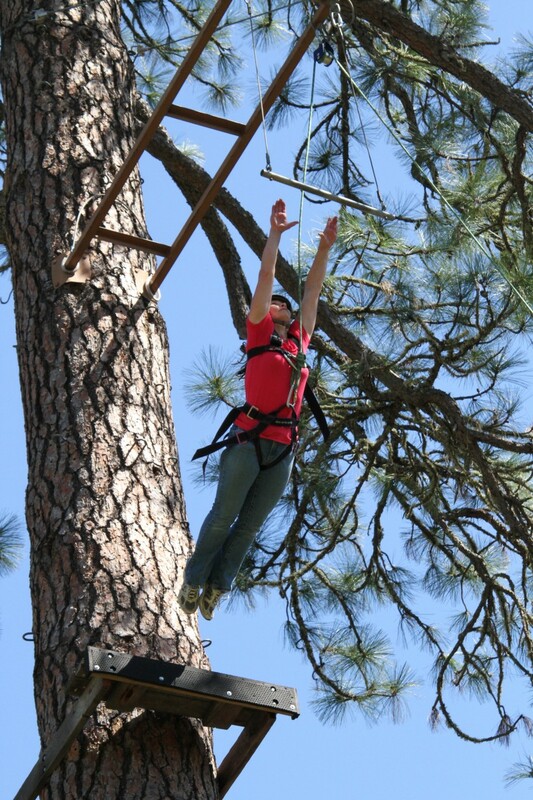 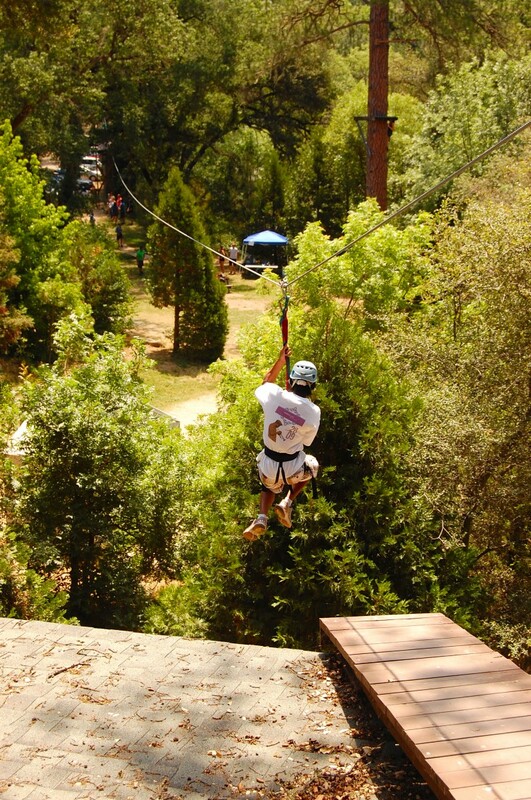 As you conquer each of the five High Ropes elements, you will be protected by a rope attached to your harness. 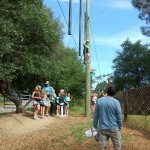 The other end of the ropes is held by the facilitator, who is known as the “belayer”. 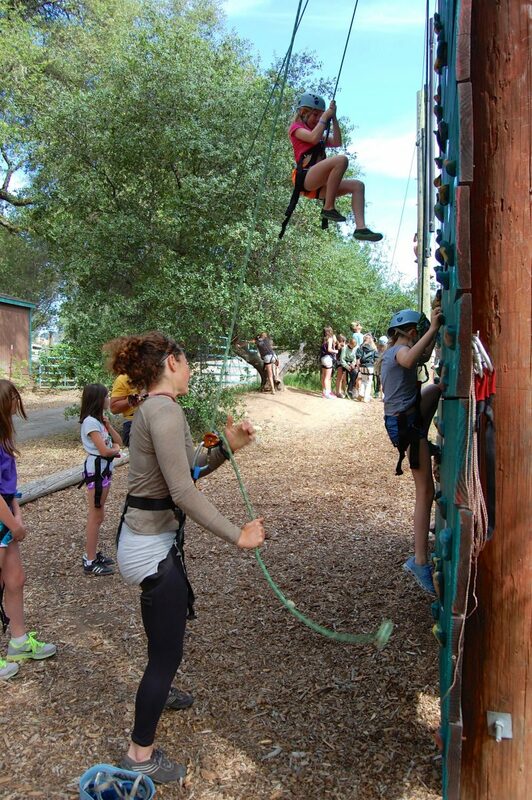 The belayer runs the rope through a “belay device” that is attached to his or her own harness and feeds the rope out as you climb higher. 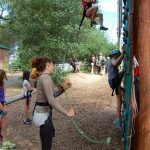 Using a belay system enables the belayer to hold the entire weight of the climber with just a small amount of force and can easily catch or lower a climber who needs assistance. 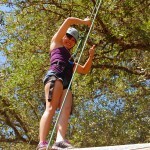 A climber approaches the top of our Leap of Faith element! 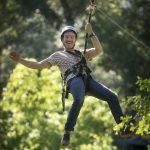 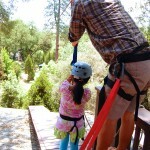 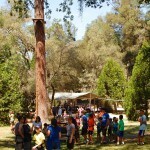 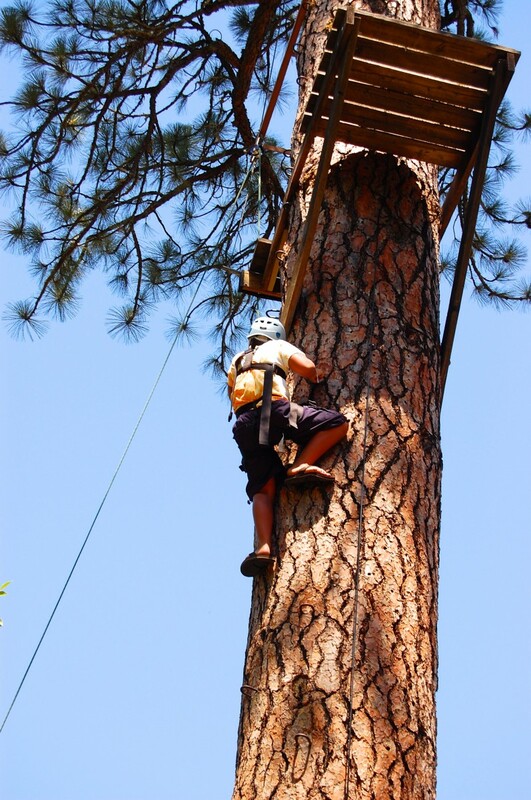 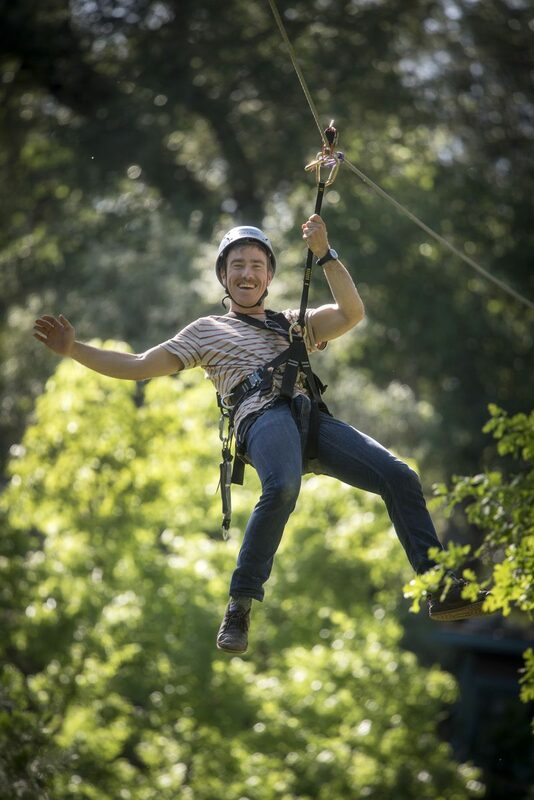 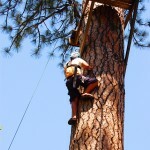 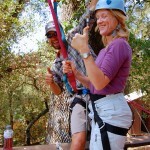 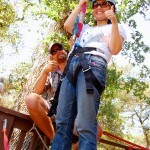 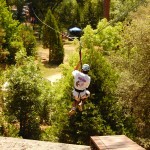 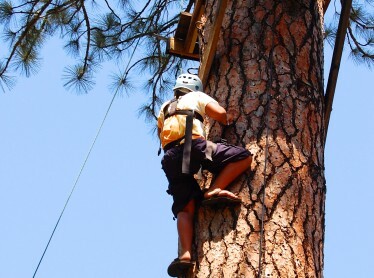 We recommend booking High Ropes with Overnight Camping or Whitewater Rafting.